Video production involves a lot more than shooting a video. If you want to produce videos that show you or your business in the best light possible, you're going to want to hire a Virginia video producer who knows how to rock every production hat there is. And we think that we can. Brainstormer. Our team can help you come up with a solid concept that is clear, addresses your marketing needs, and advances your brand. Writer. If you've got a concept but don't know how to translate it to a video script, we can help. We will assist you in writing an effective, interesting script. Videographer. Without good video footage, your message will be lost. Our N. Virginia video production team can shoot your video—either on-location or in our green screen studio—with the best equipment and most skilled videographers in the region. Editor. Editing is an art form. An improperly edited video is a waste of time and money, so we make sure that our editing skills are on point. Coder. To get your video ready for distribution on the web, it's best to have it coded properly. This will ensure that people can watch it no matter the device they choose—smartphone, tablet, or desktop. Promoter. Working with our partners at Foster Web Marketing, we can ensure that your videos get maximum distribution. The videos will also need to be properly optimized so that they can help advance your SEO goals. Which Hats Do You Need Us to Wear? The best thing about being adept at all aspects of web video production is that we can offer our clients any or all of these services. We can edit your video after you make it, help code and promote the finished project, or simply rent you our video studio. The choice is yours, and we are more than happy to help in any way we can. If you're ready to see just how dashing we look in the many hats of video production, call 703.962.1270. 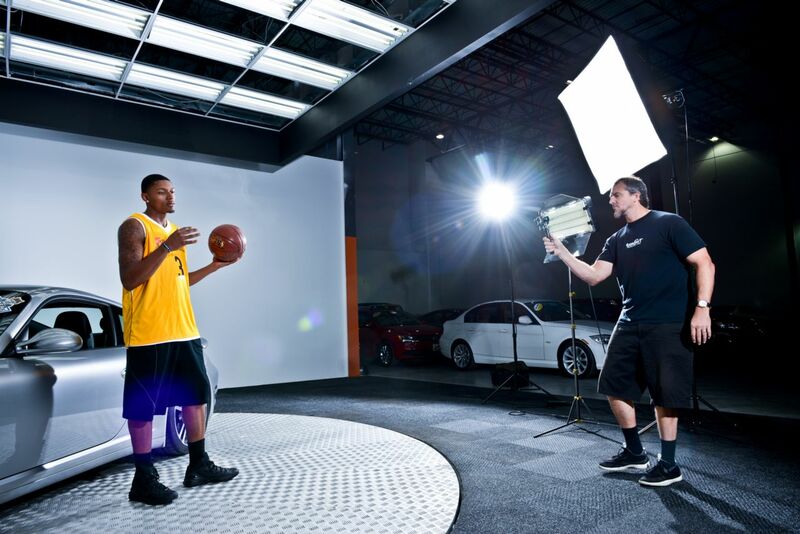 We can give you a tour of our studio or schedule your time to come in and shoot a video that will not only compete in your local market but dominate it.